Glossostigma Elatinoides Tissue Culture Tropica 1-2 Grow! Sorry, this item is out of stock. You can still order, we will keep you updated & deliver as soon as it´s in (normally within 7 days). Java Moss on Wood. 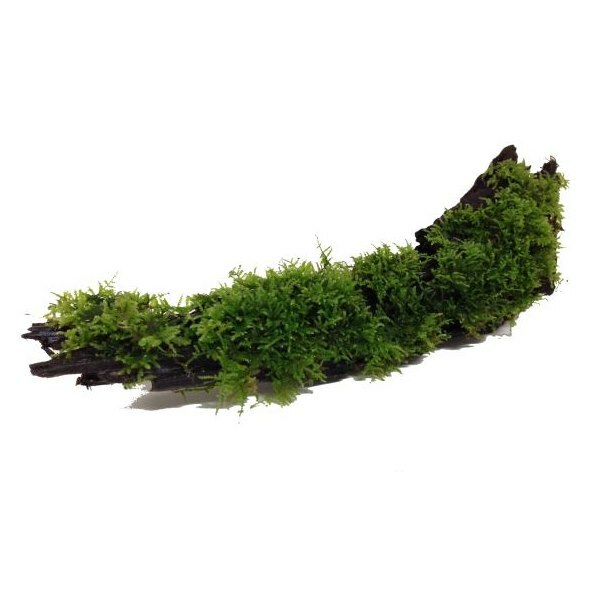 This is a piece of bogwood covered with Vesicularia Dubyana also known as Java Moss. You can use it as a centre piece in a small aquarium, or try using 2 or 3 pieces in conjunction with a few rocks to create a natural river bed in a larger aquarium. Java Moss is one of the easiest mosses to care for, and requires little attention other than light pruning every so often. It is also a very popular choice for shrimp keepers. Ordered Java Moss on wood along with some other plants for a small, beginners aquarium. Arrived in perfect condition, securely packaged within two days. Very pleased with the service and would use again. Online Mail Order Aquatic Plant Specialists UK.